Artikel-Nr. : 13559 This machine has a new owner. But no problem: Below you can find similar machines we have in stock. Gebrauchter Hanix S&B30S to sell in as available condition weight appr. 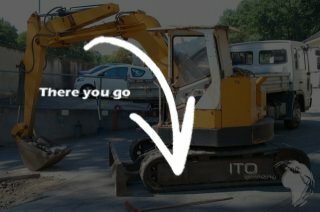 5500 kg technical data Hanix Mini excavator : engine Mitsubishi diesel Gumiketten appr. 420 mm width machines width 2020 mm bulldozer blade Seitenverstellausleger zero swing excavator Engine power 29,9 KW Standart bucket - ready for operation - battery schlecht - sales how vorhanden - Sonderpreis - in commission Mini excavator Hanix used to sell .